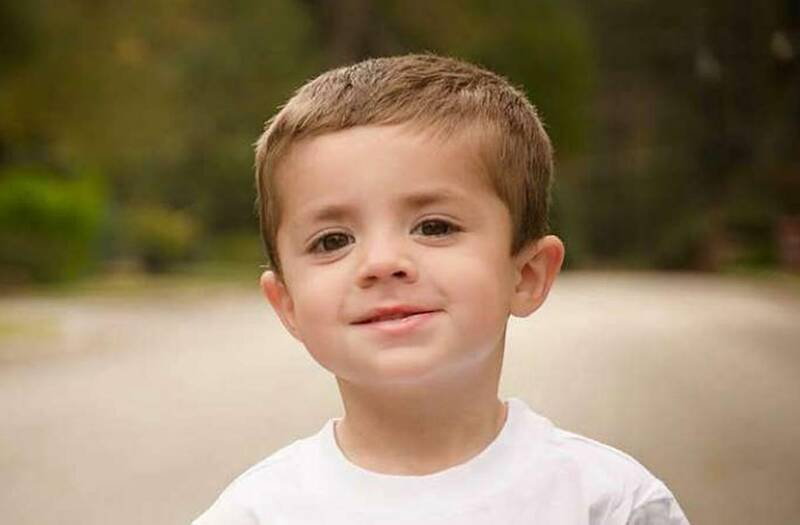 A 4-year-old Texas boy is dead following a tragic Christmas Eve accident. Kade Contreras' mother confirmed his passing in a Facebook post Wednesday night. "Our sweet baby boy went home to be with Jesus today. At 4:18 p.m. I am trying really hard not to question the whys because I will never know that," Courtney Contreras wrote. "All that I know for sure is that we were blessed beyond measure to be Kade Dylan's parents. My days will never be the same without him and his little voice and big smile. I can't say thank you enough for everyone and how much you lifted my family up. I'll ask one more time to lift us up in peace and understanding." According to the Houston Chronicle, the toddler suffered major head trauma when a treehouse fell on him at a family member's home. He was taken to Memorial Hermann Hospital in Houston. "He had swelling on his brain after the accident," Cleveland ISD Police Chief Rex Evans, a spokesperson for the Contreras family, told the outlet on Wednesday. "He had just turned 4 and was looking forward to Christmas," Evans added. "This is about as bad as it gets and the family is asking the community to please keep praying for him." The boy's parents were forced to make the decision to remove him from life support after doctors determined he was showing no signs of brain activity.